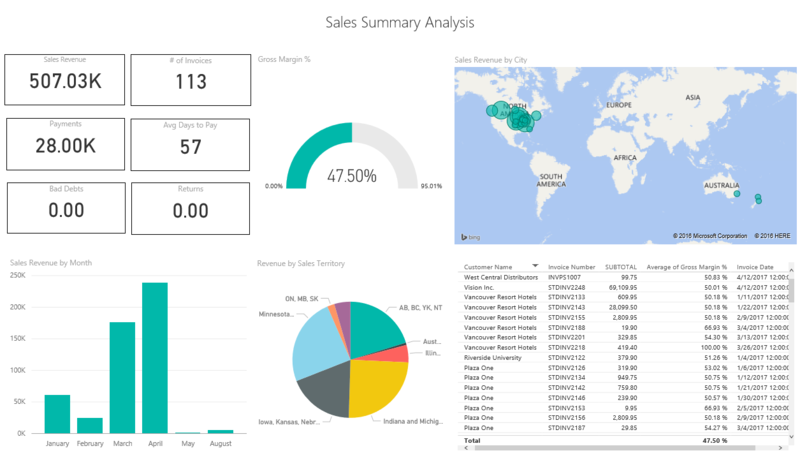 Getting insights into your Microsoft Dynamics GP data is easy with PowerBI and the BDO Quick Start for Dynamics GP: Sales Solution. 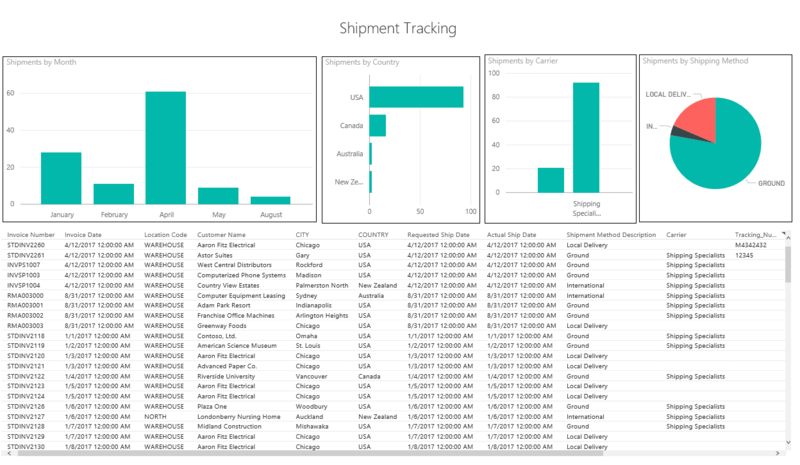 In this showcase we demonstrate how easy it is to get started with PowerBI and Microsoft Dynamics GP. The underlying data model has been designed to allow users to have a comprehensive all inclusive view into all the Microsoft Dynamics GP sales data. This showcase provides insights beyond what is typically available in Dynamics GP simplifying the reporting process to a drag and drop experience. Users can analysis customer activity, sales invoices, item/product sales, serial and lot numbers, shipping information, salesperson commissions, KPI’s, gross profit analysis, and Accounts Receivable. This showcase provides five reports and one dashboard, all displaying information from the Microsoft Dynamics GP Sample company Fabrikam. Users can mix and match data from anywhere in the Sales Module. This Showcase demonstrates how companies can benefit from consistent analysis across their organization with trusted data. Each report allows for interaction and drill down to details. This provides you with the ability to quickly analyse and get insights into Product margins, with Customer metrics, while allowing for Sales commission tracking, plus insight into Serial and Lot History, and Shipment tracking…. And you never have to worry about the validity of the data. From C-Level executives to management teams and end users, this showcase provides insights to all, democratizing Business Intelligence for all levels in your organisation. 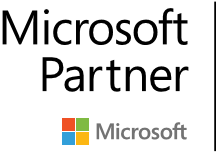 This showcase is compatible with Dynamics GP v 2010 and newer and works with on premise or online data. 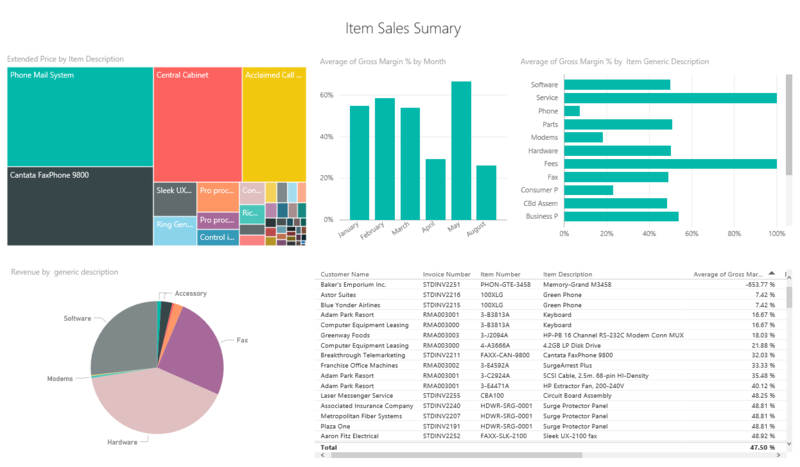 Power BI 파트너가 되고 싶으세요? 인증 파트너는 팀의 중요한 부분입니다. 새로운 비즈니스 기회를 찾고, 연결하고, 전 세계 Power BI 사용자와 귀사의 재능과 경험을 공유하세요. 파트너가 되어야 하는 이유에 대해 알아보세요.